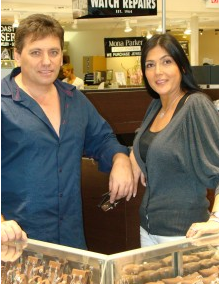 Lidia's has the most magnificent jewelry and 20 plus years of experience with designs by Gaby Roizen. "Creating that one of a kind piece" including customizing watches with diamonds. Craftsmanship is of the highest quality and a commitment to customer service. We buy gold & watches at the most competitive prices.